Herbert H. Kohl was born on 7 February 1935, in Milwaukee, Wisconsin USA, of Russian, Polish, and Jewish descent. He is a politician and businessman, best known for being a former United States Senator for the Democratic Party. He was also the former owner of the National Basketball Association (NBA) team, the Milwaukee Bucks. All of his efforts have helped put his net worth to where it is today. How rich is Herb Kohl? As of mid-2016, authoritative sources inform us of a net worth that is at $630 million, mostly earned through success in business and politics. He helped establish many policies during his time in the Senate, and also does a lot of philanthropic work. He was considered one the wealthiest US senators, and as he continues his endeavors it is expected that his wealth will increase. During the start of his political career, Kohl served as the Chairman of the Wisconsin Democratic Party from 1975 to 1977. After being elected to the Senate, he would go on to support numerous policies; he voted for the Patient Protection and Affordable Care Act and also voted for the Health Care and Education Reconciliation Act of 2010. He became well known for promoting an amendment to the US Constitution to balance the budget of the government. He voted for the 2001 tax cut, and the welfare reform. Herb also became well known for being a pro-environmental politician, supporting hydrogen cars, oil consumption reduction, and universal health care. Aside from that, he opposed the death penalty and was against discrimination of sexual orientation. He was one of the proponents to sell handguns with child safety locks, and supported public education. In foreign policy, he voted against many free trade agreements. However, among a few of the other bills he supported were trade normalization with China, and free trade with developing countries. He was against the Gulf War, but voted for military force in Iraq. After serving in the Senate from 1988, he then opted not to seek re-election in 2012. 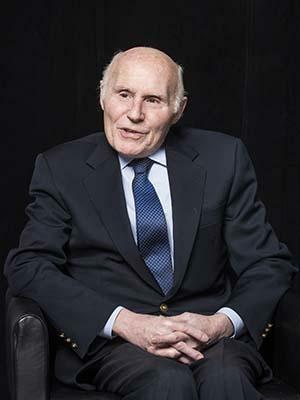 Kohl is also a noted philanthropist, donating $25 million for the creation of the sports arena called the Kohl Center. He also helped establish the Herb Kohl Educational Foundation Achievement Award Program, which helps a lot of students and teachers in Wisconsin. For his personal life, it is known that Herb has never married. In response to why he was not seeking re-election, he stated in 2012 that the office did not belong to him, and he did not want to stay in office too long.